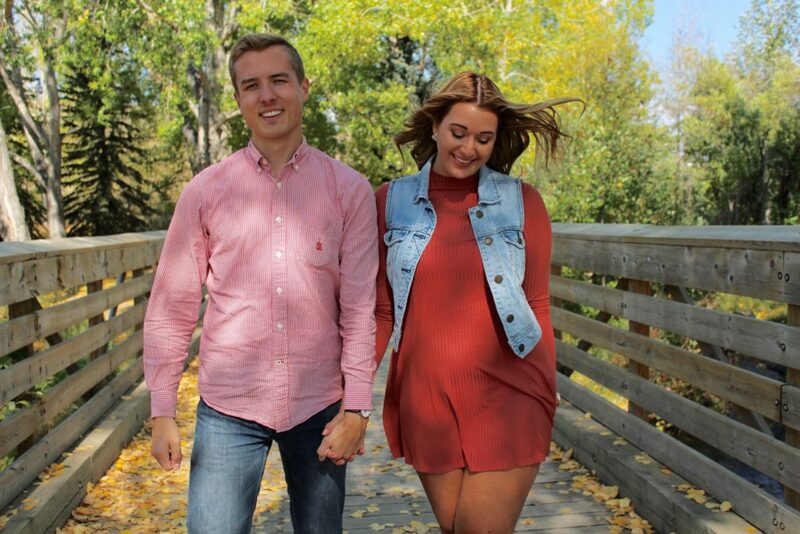 Meet local couple Judy (@itsjpbaby) and Austin (@auzzy). 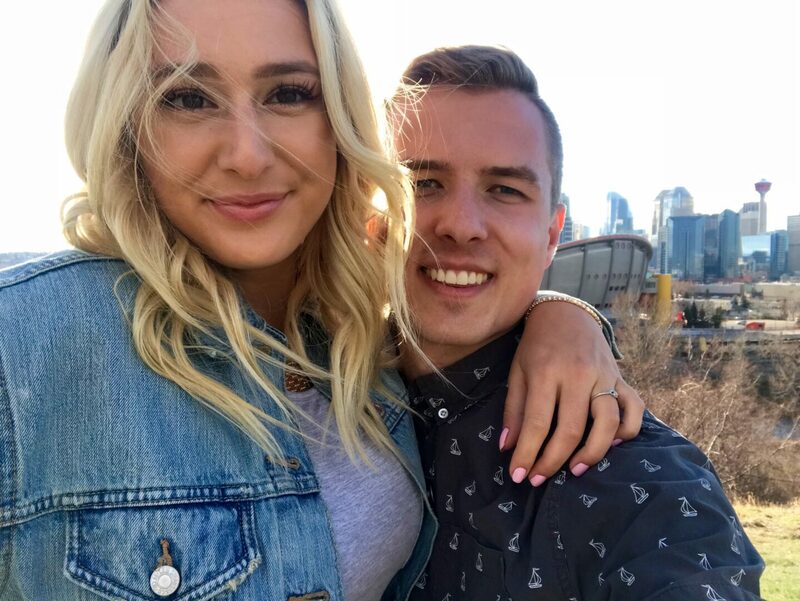 These two lovebirds originally met on Tinder and have been going strong for three years proving that sometimes the best love stories DO come from right swipes. 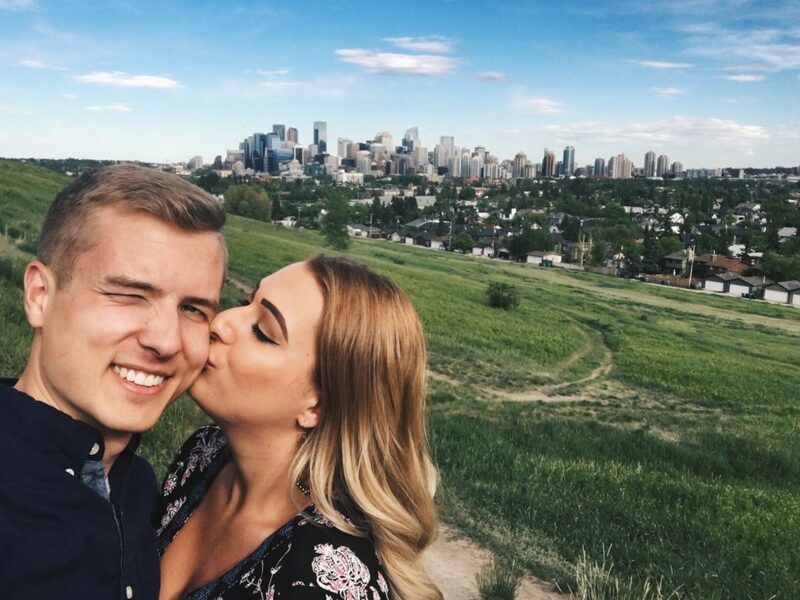 That, along with their sweet photos of each other on the ‘gram, are two big reasons why we’re excited to have them join our #CouplesofYYC community. Read on to learn more about Judy and Austin. We’ve been together a little over 3 years. Tinder, no really, we’re serious! Austin: No brainer, I want Daniel Craig to play me because I feel like we have a similar personality and taste in suits. Judy: I want Amanda Seyfried, she’s absolutely gorgeous and I love her energy! The movie would be a rom-com about a couple who just moved to a big city to start their careers and are learning how to keep a balance between work and play while also making new friends along the way. 1. Walking through Prince’s Island Park; we stroll by the river and usually stop for a cute drink and snack at Alforno Bakery & Cafe. 2. We recently discovered Tropical on 17th and we are OBSESSED! It’s the perfect place for unique exotic drinks and yummy Latin food! 3. We also like to stop by Village Ice Cream for a cheeky evening dessert. We always get a scoop of salted caramel – it’s amazing! If your favourite artist were to write a song about you, what would it be called and why? We immediately thought of an upbeat Michael Bublé song called ‘we’ll play it by ear’ because we always try and plan things perfectly but we ultimately end up saying ah you know what, let’s play it by ear. Talk, talk, talk! It sounds cheesy but communication is truly the key! We also think it’s important to keep in mind that you’re both on the SAME team – when you’re in disagreement remember you’re not enemies, you need to work it out together. Judy: Austin’s superpower is being able to predict when I will get too tired or restless during an outing – he’ll tell me it’s time to go and why and 99.9% of the time he’s right. Want to be part of our Date Night community? We believe that dates are all about spending quality time with someone you love and exploring our beautiful city. So if you want to be featured, send us a request to info@itsdatenight.com with your bae, your best friend, or your dog (after all, dogs are BFF’s too).